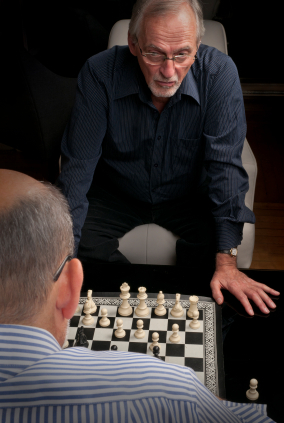 Before you settle on starting a general neighborhood chess club, consider your audience. If you want to start a club in a library for youth in middle school or younger, please visit Start a Scholastic Chess Club in a Library. If you want to start a club in a school, please visit Start a Scholastic Chess Club in a School. Okay, you want to start a neighborhood chess club. 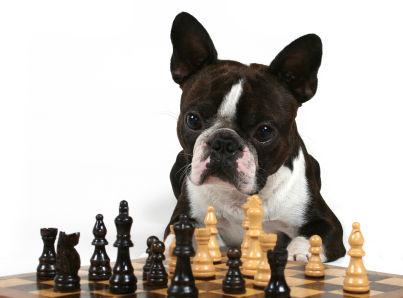 To start, you must know how to play chess, be outgoing, and like people. Working with players takes a bit of effort, but can be quite rewarding! Who's been down this road before? 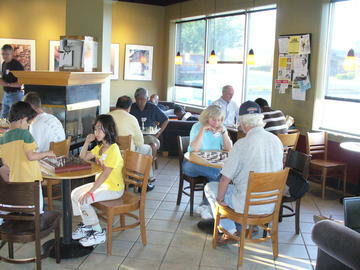 Network with others who have run chess clubs in libraries, schools, or other venues, either for adults or kids. They'll have valuable advice about what's important, what the pitfalls are, and shortcuts to effectiveness. You may also find these people by looking for chess clubs near you on the Internet. You'll need a venue for your meetings. This could be a mall, coffee shop, restaurant, sports bar, bookstore, community center, shopping mall, place of worship, etc. Use your imagination. Whatever the venue, contact the manager and discuss the idea. Some venues welcome the idea of a chess club, seeing it as an amenity for the community, or as simply as a way to draw foot traffic and therefore business. Others may not see this, or may see liability exposure or other negatives, so do not site your club there. Libraries are another possible venue. The venue may want assign the club to a separate room, as the activity of the club may make noise that is inappropriate for regular patrons. An initial budget of at least $100 is recommended for a small, new club (up to about 10 members). You may fund this yourself, or find local sponsors, such as merchants, or suggest a donation from each prospective member. It may even be possible to get started without any funds, if members can bring their own chess sets and share some good chess books. Material about chess, such as "Complete Idiot's Guide to Chess" by Patrick Wolff, or "Everyone's Second Chess Book" by Dan Heisman, both available in libraries or online from sources like amazon.com. And there's plenty of other material online, of course. Chess equipment from chess equipment web-sites such as Cajun Chess. Vinyl roll-up chess boards are inexpensive, as are sets of sturdy plastic chess pieces. A great tool is a demo board, which enables you to display positions and problems for many people to see easily. Publicity: Several weeks before the first meeting, create a simple, colorful flier with the club's name (often that's simply the neighborhood name plus "Chess Club"), place and time of meetings, any fees, range of player ages, your phone number and email address, and post it in several places in the community, and in stores near the meeting place. If there is a web-site you can utilize, create a lively, colorful page on it and mention the site in the flier. At the first and all meetings, be very friendly and encouraging to the players. Everyone should feel welcome all the time. Any experienced players who show up can become a valuable asset for teaching others. A little flattery goes a long way; let them know that they are appreciated. For any newcomers to a given meeting, the first thing to find out is whether they know the basic moves of the pieces, and the goal of the game from each player's point of view. Any players who know at least the goal of the game and the basic moves must be prepared to play with other beginners, which is a very practical way to build some confidence, and to create relationships among the new players. In order for new players to acquire sound ideas and a solid approach to playing, the following exercise is highly recommended. Two relatively strong players should face off across the board for a mock game, with several beginners watching closely. Each player should explain to his "audience" exactly what he (or she) is thinking when deciding upon his (or her) move. This should continue for 8 to 12 moves and then there should be a general discussion. The purpose is to show new players what they should be thinking about when playing, and it also familiarizes them with the ideas behind an opening strategy. This exercise should be performed at least once per month, as long as people are interested in doing so. The exercise can be shortened or lengthened as desired, and, at some point, an entire game can be played out in this manner. Encourage the club members to look at any library's books and videos on chess. Like any organization, a chess club needs money to pay for various items, such as equipment, reference material, refreshments and communications. Experience teaches that having multiple sources of money works best, because if any one source dries up, the others are still there. Thus, dues and/or meeting fees come from players, and miscellaneous sources such as local merchants or civic organizations may provide ongoing support. It is better to have dues and/or fees in place at the launch of the club, rather than to have to impose them later, since players are accustomed to them instead of getting a shock later on. CXR Chess provides colorful, informative, cost-effective statistics and ratings that are designed to give players and coaches enormous feedback on players' chess strengths and weaknesses. The most cost-effective way of purchasing the service from CXR Chess is the Premium Membership, at $7 per year for each player. You may find it interesting to bring in a speaker about chess once in a while. Once the club is established, you might want to organize tournaments with other clubs. 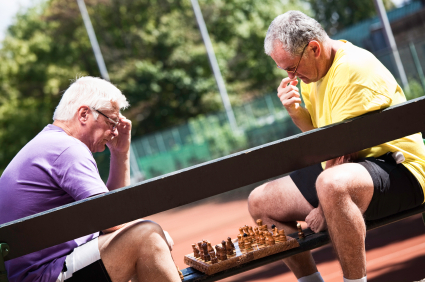 There may be other local chess clubs with which your club can have matches.